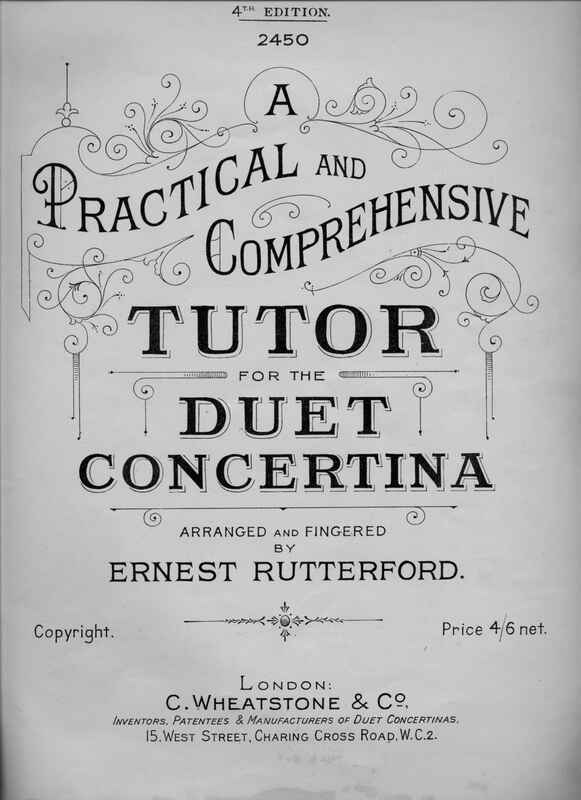 Full Description: An 4th Edition of “A practical and Comprehensive Tutor for the Duet Concertina, arranged and fingered by Ernest Rutterford”. 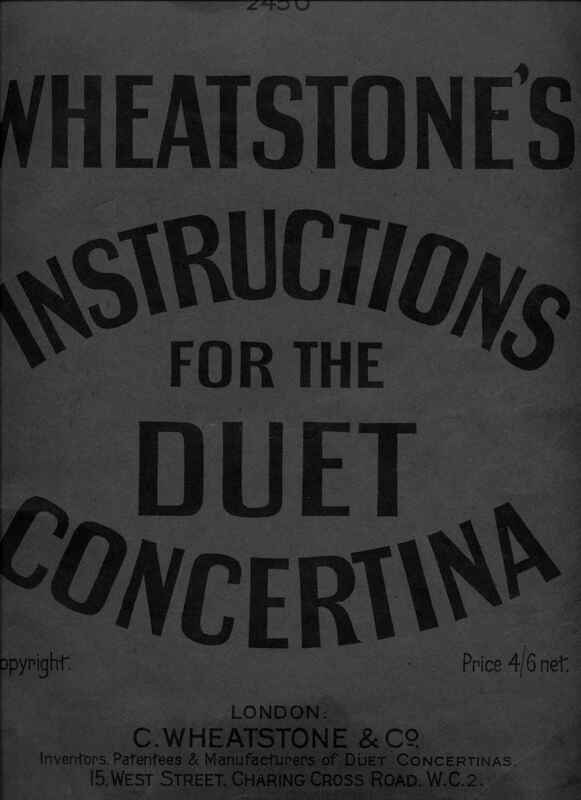 Publ by “C Wheatstone & Co, Inventors, Patentees & Manufacturers of Duet Concertinas, 15 West Street, Charing Cross Road, WC2.” CW No 2450, Price 4/6d net. Rutterford was a member of The Shakespeare and Rutterford Rhythmonic Combination, a lively 1920s Dance Band, of which Harry Minting was also a member, playing Duet concertina. See the Minting Archive at Section NC.2.1.1.1 [http://www.concertinamuseum.com/NC2010101-001.htm] in the Collection. The major source for information and listings of all known Concertina Tutors is Randall Merris’s paper at www.concertina.com/merris/bibliography/english-tutors.htm.